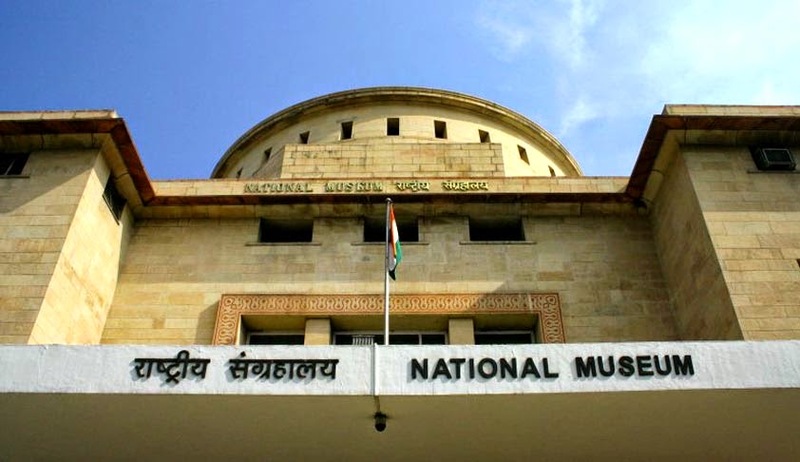 The total number of art objects in the National Museum is 2,06,169 and National Gallery of Modern Art, New Delhi is 16,480. Physical verification of the objects is an ongoing process and is being carried out on regular basis in National Museum, New Delhi and the National Gallery of Modern Art, New Delhi. Both the organizations have a complete record of each object in the Accession Register. This information was given by the Union Minister of State for Culture (Independent Charge), Tourism (Independent Charge), and Civil Aviation, Dr. Mahesh Sharma in a written reply to an unstarred question to the Lok Sabha. (x) Khirsara, District- Kachchha, Gujarat. However, several studies including explorations and excavations have been carried out both by the Government and non-governmental organizations along the palaeochannel, represented today by the Ghaggar river in Haryana, Punjab, Rajasthan and Gujarat. Some researchers have ascribed this palaeochannel to the Saraswati river mentioned in ancient Indian literature. The excavation work at the ancient mounds of Binjore, District Ganganagar, Rajasthan during the field season 2014-1015 is in progress. An expenditure of Rs. 27.00 lakh has been incurred for excavation at the ancient mounds of Binjore, District Ganganager (Rajasthan) up to March 2015. The total number of cases where construction activities were allowed within the regulated areas of centrally protected monuments in the country was 1709 in 2014, 1015 in 2013 and 1014 in 2012. 3685 monument/sites declared as of National importance are conserved, preserved by the Archeological Survey of India. Archaeological Survey of India has proposed to amend the Ancient Monuments and Archaeological Sites and Remains (Amendment and Validation) Act, 2010 and has started the process of reviewing the Act. As per the Ancient Monuments and Archaeological Sites and Remains (Amendment & Validation) Act, 2010, and Rules framed thereunder, persons having buildings or houses in the prohibited area (100 metres from protected monuments) of any Centrally -protected monument may undertake repairs and renovation after obtaining permission from the Competent Authority on the recommendation of the National Monuments Authority. Further, in case of regulated area (200 metres further beyond prohibited area) the persons may undertake construction, reconstruction, repairs and renovation only after obtaining permission from the Competent Authority on the recommendation of National Monuments Authority. In order to give relief to the farmers affected with heavy rain and hailstorm, the centre has reduced value cut for Shrivelled and Broken wheat grains to relax procurement norms further. On the basic of requests received from the Haryana, Rajasthan and Madhya Pradesh, the Union Ministry of Consumer Affairs, Food and Public Distribution has decided not to impose much value cut in respect of more Shrivelled and Broken grains. Following state wise orders have been issued today regarding the relaxations. Haryana - In order to help the farmers, now it has been decided that the value cut in respect of shrivelled & broken grains will be allowed @ 1/4th of one value cut for every additional relaxation of 2% or part thereof. As such, Rs. 3.63 per quintal (MSP-Rs.1450/-per quintal) will be deducted on wheat having shriveled & broken grains above 6% upto 8% and in case of wheat having shriveled & broken grains above 8% upto 10%, value cut of Rs. 7.25 per quintal will be deducted. The value cut in respect of luster lost grains will remain the same as specified in the order dated 8.4.2015 i.e. 1/4th of one value cut on flat basis or say Rs. 3.63 per quintal for luster lost grains above 10% and upto 50%. The value cut will be applicable from the date of relaxation allowed. All other conditions will remain same. Rajasthan- In order to help the farmers, now it has been decided that the value cut in respect of shrivelled & broken grains will be allowed @ 1/4th of one value cut for every additional relaxation of 2% or part thereof. As such, Rs. 3.63 per quintal (MSP-Rs.1450/-per quintal) will be deducted on wheat having shriveled & broken grains above 6% upto 8% and in case of wheat having shriveled & broken grains above 8% upto 9%, value cut of Rs. 7.25 per quintal will be deducted. The value cut in respect of luster lost grains will remain the same as specified in the order dated 8.4.2015 i.e. 1/4th of one value cut on flat basis or say Rs. 3.63 per quintal for luster lost grains above 10% and upto 50%. Madhya Pradesh- In order to help the farmers, now it has been decided that the value cut in respect of shrivelled & broken grains will be allowed @ 1/4th of one value cut for every additional relaxation of 2% or part thereof. As such, Rs. 3.63 per quintal (MSP-Rs.1450/-per quintal) will be deducted on wheat having shriveled & broken grains above 6% upto 8% and in case of wheat having shriveled & broken grains above 8% upto 10%, value cut of Rs. 7.25 per quintal will be deducted. The value cut in respect of luster lost grains will remain the same as speicified in the order dated 1.4.2015 i.e. 1/4th of one value cut on flat basis or say Rs. 3.63 per quintal for luster lost grains above 10% and upto 40%. Uttar Pradesh- In order to help the farmers, now it has been decided that the value cut in respect of hriveled & broken grains will be allowed @ ¼th of one value cut for every additional relaxation of 2% or part thereof. As such, Rs. 3.63 per quintal (MSP-Rs.1450/-per quintal) will be deducted on wheat having shriveled & broken grains above 6% upto 8% and in case of wheat having shriveled & broken grains above 8% upto 10%, value cut of Rs. 7.25 per quintal will be deducted. The value cut in respect of luster lost grains will remain the same as specified in the order dated 8.4.2015 i.e. ¼th of one value cut on flat basis or say Rs. 3.63 per quintal for luster lost grains above 10% and upto 50%. Air Force Commanders’ Conference (AFCC) – 2015 commenced at Air Headquarters (Vayu Bhawan), New Delhi on 20 April 2015. Shri Manohar Parrikar, Hon’ble Raksha Mantri inaugurated the bi-annual conference. Air Chief Marshal Arup Raha, Chief of the Air Staff welcomed Shri Manohar Parrikar, Hon’ble Raksha Mantri, Shri Rao Inderjit Singh, Hon’ble Raksha Rajya Mantri and Shri RK Mathur, Defence Secretary. He also introduced the Air Force Commanders to the Hon’ble RM. The aim of this bi-annual conference is to enhance the operational capability of the IAF. CAS updated the RM on operational status of the IAF, induction of C-17 and operationalisation of C-130 aircraft. He also highlighted the efforts put in to increase the aircraft serviceability and the corresponding increase in flying task of IAF as compared to the previous year. Achievements of the IAF especially during the Humanitarian Assistance and Disaster Relief (HADR) operations were covered by the CAS. He also elaborated on the IAF’s Focus Areas and covered the future road map for the IAF. The CAS also expressed his concern for well being, morale and enhancement of physical fitness of air-warriors. The Hon’ble RM complemented the IAF for professional conduct during relief and rescue operations especially during J&K floods and rescue of Indians from Yemen. He also emphasized on aviation safety and conserve available resources. During the conference senior leadership of IAF deliberates on issues pertaining to air operations, maintenance, human resources and administration. CAS also presented trophies to various Command Headquarters for excellence in sports, welfare activities and promotion of Hindi in IAF. The Bi-Annual Army Commanders’ Conference commenced on 20 Apr 15, in New Delhi, to deliberate on major operational, human resources and logistic issues affecting the Army and will conclude on 25 Apr 15. This conference is the highest level ‘Military Conference’ and is held bi-annually to discuss current internal and external strategic issues, review of operational preparedness of the Indian Army and aspects pertaining to military technology and force modernisation. On 20 April 2015, the conference was addressed by the Hon’ble Raksha Mantri, Shri Manohar Parrikar. In his speech, after being introduced to the Army Commanders, the RM emphasized on National Security and Capability Development, reiterating that Capacity Building was a continuous process that must proceed apace and unabated. He further highlighted some key issues and challenges, both external and internal that had an impact on the Nation’s security calculus. The RM congratulated the Indian Army stating that it was one of the most professional institutions of the country. He exhorted the exemplary leadership shown by the Indian Army and complemented the way the Army dealt with very difficult challenges including the proxy war. He further highlighted the selfless response by the Army in dealing with Jammu & Kashmir floods. He also emphasised that one of the topmost priorities of the Government was the welfare of Ex-Servicemen in which the ‘One Rank One Pension’ scheme implementation process is underway. Similarly, other welfare projects like the ECHS will continue to be fully supported by the Government. In the end , he wished The Army Commander’s Conference every success. Gen Dalbir Singh, Chief of the Army Staff, earlier addressed the Conference, welcomed the Hon’ble RM and stressed on various major operational, logistics, training and manpower issues. The First ship of Project - 15B,Guided Missile Destroyer, christened ‘Visakhapatnam’ was launched on 20Apr 15 at a magnificent ceremony at Mazagaon Dock Limited (MDL), Mumbai.The ship was launched from Slip Way No. 2 in MDL, Mumbai. The Chief of theNaval Staff, Admiral RK Dhowan, was the Chief Guest for the occasion. Inkeeping with the nautical traditions, the ship was launched by Smt Minu Dhowan,wife of The Chief of the Naval Staff. After an invocation to the Gods wasrecited, she broke a coconut on ship’s bow, named the ship and wished the shipand “crew to be”, good luck. Speaking on the occasion, the ChiefGuest, Admiral RK Dhowan lauded the contributions made by MDL in meeting thegrowing requirements of the Navy. He also commended the efforts put in by DGND(SSG) and his team in the design of the state of the art warships. He was alsovery appreciative of the role played by DRDO and the industry for relentlesslycontributing towards achieving Indian Navy’s dream of transforming itself froma “Buyers Navy” to a “Builders Navy”. BackgroundInformation: The four ships of Project 15B ships being built at MDL,Mumbai have been designed indigenously by the Directorate of Naval Design,Delhi and bear testimony to the acclaimed legacy of Naval designers. With adisplacement of 7300 tons, each ship will be spanning 163 meters in length and17.4 meters at the beam and will be propelled by four gas turbines to achievespeed in excess of 30 knots. The P15B destroyers incorporate new designconcepts for improved survivability, sea keeping, stealth and manoeuvrability.Enhanced stealth features have been achieved through shaping of hull and use ofradar transparent deck fittings which make these ships difficult to detect. These ships will be equipped to carry and operate two multiple rolehelicopters. These ships are also packed with anarray of state of the art weapons and sensors, including vertically launchedmissile system for long distance engagement of shore and sea-based targets.With significant indigenous content, these ships are a true hallmark of selfreliance attained by our country in warship design and ship building.